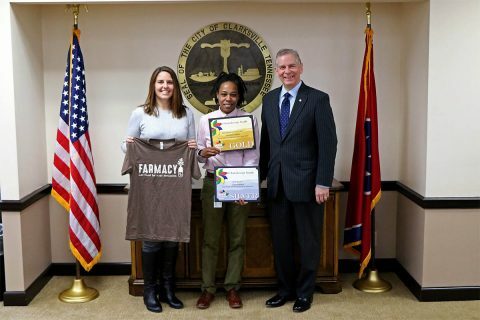 Clarksville, TN – The Clarksville Downtown Market received national recognition at two conferences this past week. 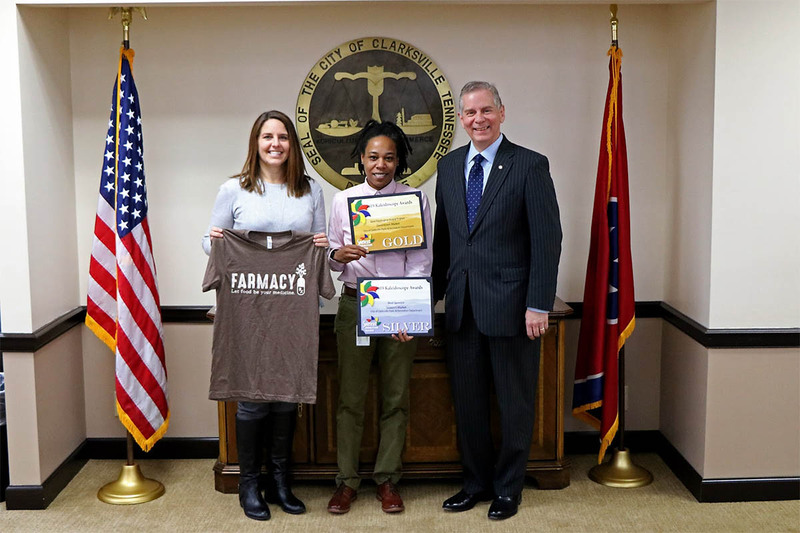 As part of the Pick TN Conference in Franklin, Tennessee, on February 21st-23rd, the Tennessee Association of Farmers Markets awarded the Clarksville Downtown Market first place for Best Market Brochure and second place for the Best Market T-shirt. Jennifer Letourneau, Clarksville Parks & Recreation Director and Channel Lemon, Clarksville Downtown Market Manager with Joe Pitts, City of Clarksville Mayor. Just a few days later, the Clarksville Downtown Market was awarded first place for Best Event T-shirt and second place for Best Event Sponsor (Seasons Market) at the Southeast Festivals and Events Association’s Kaleidoscope Awards, in Pigeon Forge, Tennessee. 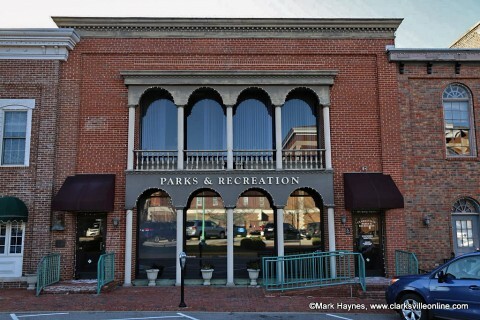 Seasons Market supports the Clarksville Downtown Market and its vendors through monetary contributions. 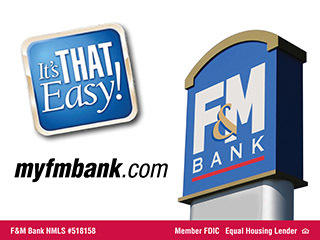 They also offer weekly giveaways, demonstrations, tasting samples, prizes and incentives to market shoppers. “The partnership between Seasons Market and the Clarksville Downtown Market is a win-win-win, for the Clarksville Downtown Market’s vendors, our customers and Seasons Market,” said Channel Lemon, Clarksville Downtown Market Manager. The 2019 market season will be 8:00am to 1:00pm Saturdays from May 25th to October 12th in downtown Clarksville on Public Square. Vendor applications are available online through Friday, March 15th. The Clarksville Downtown Market is a weekly open-air market featuring local farmers and artisans who offer fresh produce, food items, and handcrafted products. The Market strives to provide an opportunity for customers to connect with local businesses and to provide affordable, locally grown, fresh foods while enhancing the quality of life for all individuals in our community. Enjoy live music, meet our Market mascot, “Corny the Cob,” and experience special events on select market days.